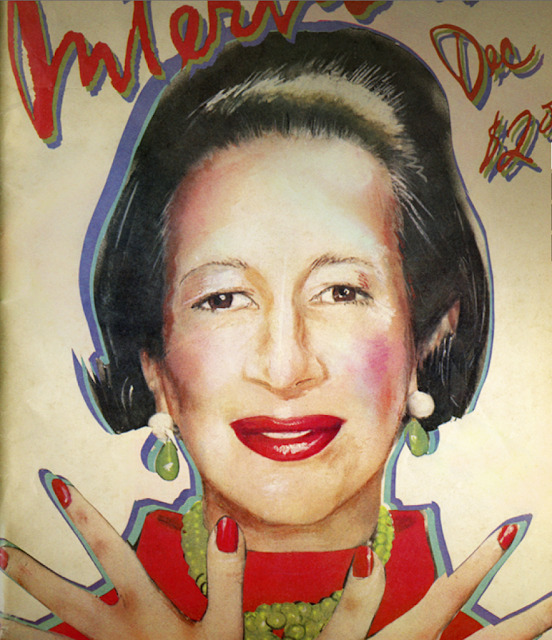 Lately, I can't seem to get enough inspiration from Diana Vreeland. Perhaps it's because I'm DYING to see THIS documentary. Now, I realize it came out a few months ago, but it's finally making its way to the island. To say I'm excited would be an understatement. I have every intention of seeing the film this weekend, and I couldn't be more ecstatic. I'm literally clicking my heels as I type this. Over the past few months, I've surrounded myself with books about the iconic and eccentric tastemaker and magazine editor. I've found that I could stare at photos of her for hours. When I read about her, it's nearly impossible to wipe the grin from my face. 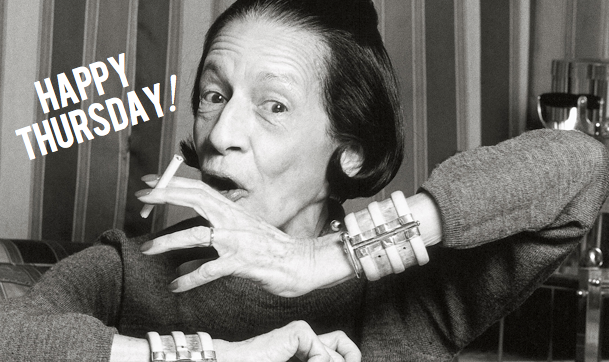 Her story is intriguing—she reinvented the role of the fashion editor. She inspires others to dream a little bigger and to stand out. 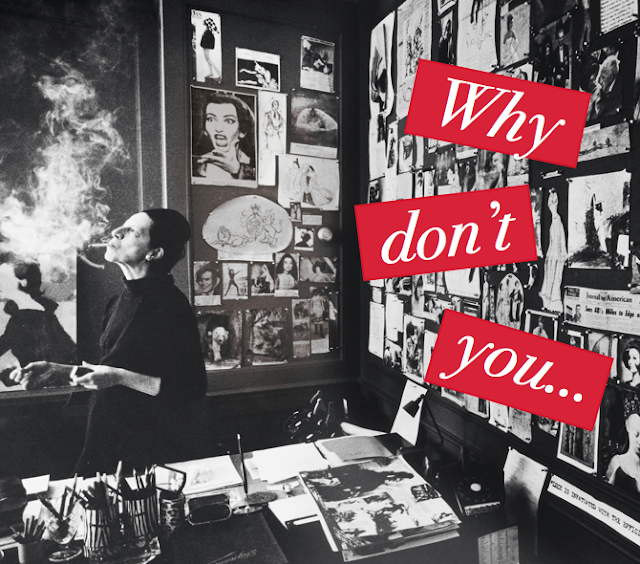 Vreeland's the kind of dazzling and tenacious role model that leaves you feeling a bit more daring with an appetite to be extraordinary. I think this vibrant piece of advice from the "Empress of Fashion" says it best: "There's only one very good life—and that's the life you know you want and you make it yourself." … cover a big cork bulletin board in bright pink felt, banded with bamboo, and pin with colored thumb-tacks all your various enthusiasms as your life varies from week to week? … tie an enormous bunch of silver balloons on the foot of your child’s bed on Christmas Eve? … tie black tulle bows on your wrists? … wear violet velvet mittens with everything? …have a room done up in every color green? This will take months, years, to collect, but it will be delightful—a melange of plants, green glass, green porcelains, and furniture covered in sad greens, gay greens, clear, faded, and poison greens? I hope your day is as vibrant as Mrs. V! P.S. Can't get enough? Here's 15 things you didn't know about Diana Vreeland. my favorite is tying black tulle bows around your wrist! i'm putting it on my to-do list now.